Hairy Maclary goes for a walk in town, followed by a few of his friends. They have a wonderful time exploring the streets when suddenly they encounter Scarface Claw, the toughest cat in the city, causing all the dogs to run for home. 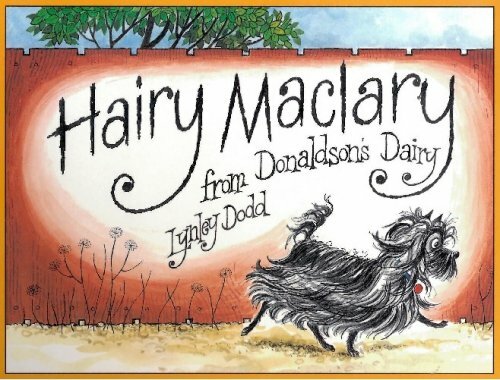 Hairy Maclary from Donaldson’s Dairy is an absolute classic story book, and for good reason! It’s told in fantastic, cumulative rhyming text, which means it’s packed full of repetition - perfect for little ones with language disorders. All the dogs have rhyming names and are brilliantly described, making it an excellent choice for targeting description skills. For further speech and language targets in Hairy Maclary from Donaldson’s Dairy, see the list below.